I realize 2019 has already begun, but there are still a few 2018 round-up posts I plan to write, one of those being this one right here. My top five OWLS posts of 2017 listing was fairly well-received by you all, so I decided to bring it back! As I mentioned last year, it’s hard to pick favorites. But, in the spirit of the New Year and bidding the old farewell, I’ve managed to select five OWLS posts that accurately represent the sum of who I am, why I write, and what I want you, the reader, to learn! As previously mentioned, all of my OWLS posts are my babies—in fact, they’re probably some of the best posts I’ve ever written, if not THE best of what I’ve got so far, and I thoroughly LOVED writing ALL of them—so enjoy my reminiscing, and feel free to scope them out if you missed them, or are feeling the urge to relive each month’s thought-provoking topic. On the header/taskbar thingy of my site, you’ll see that OWLS has its own tab (and rightly so), so you can find the rest of 2018’s posts there! Alrighty then, let’s take one last look at some of the posts I wrote in 2018! Like several of the titles I featured for each month, my watch of The Royal Tutor came at just the right time. I recall desparately searching my watch catalog just nights before the post was due, and then Heine Wittgenstein waltzed into my life and all was well. Not a single episode goes by where Heine fails to offer a valuable lesson on what it means to be human, and its that strict attention to theme that gives this OWLS post an easy runner-up position on the list. Heck, Heine practically wrote the post for me! Before quitting something you want to do, you should always explore alternative solutions. This world is very big. Do not deprive yourself of people who will understand and care for you. We should all believe in second chances. Here’s another one of those last-minute struggle watches that I managed to cram in right before the deadline, and boy am I glad I finally watched this anime cult Christmas classic. In the post, I dabbled a bit on how “God’s miracles” are what guide these three crazy homeless friends through an eventful Christmas Eve in Tokyo. The unfathomable number of plot conveniences can be explained by the presence of this guiding light, and this wild series of events—which can only be described as miraculous—are what make it the perfect fit for not only the monthly theme, but the holiday season. Life has a funny way of dealing with some situations—embrace chaos with faith. A simple conviction to kindness will surround you with good company and food aplenty. We will always have the opportunity to be kind to others. Similar to our first tour of 2019, “Metamorphosis,” January and the New Year revolve around change. It involves a spirit of revival, an air of renewal, and the determination to change oneself for the better. Similarly, I found Phos’ journey to find purpose and self-worth to be an excellent fit for 2018’s first monthly topic. (I also happened to be watching it at the time, but I digress.) Just as how humans are fragile beings at heart, the Gems of Land of the Lustrous can shatter into hundreds of tiny pieces—some Gems more than others, namely Phos. Although the post is a tad bit on the longer side to accommodate every aspect that I wanted to hit on, I still look back on it fondly as how 2018 started—a shimmering, hopeful time to try new things. Change is scary. It can be painful, it can be sudden, and it can be dangerous. Change involves suffering, but that grief is a necessity for growth. Self-worth isn’t determined by the people around you, but rather what YOU make of yourself. So long as we can hope to become better individuals—actively seeking to help others in return—change and improvement just might someday find us, too. This show, oh man, how far we go back together. I find it quite rare for a series to impact my views on critical concepts like justice and dignity so easily. 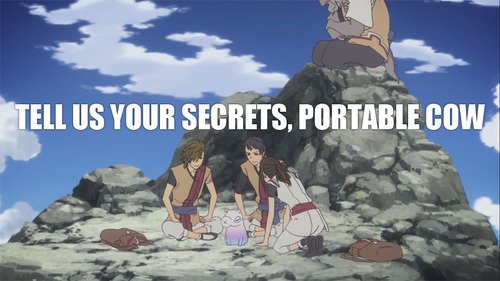 And then comes along Shinsekai Yori to flip everything that I knew on its head. Absolutely loaded from head to toe with painful themes of reality and the duality of man, From the New World represents so much more than sci-fi series about good and evil. Rather, it’s a journey through horror, calamity, and the truth, and how the truth can sometimes be the cruelest thing of all. Given how complex it is, I was quite satisfied with how I was able to sum up each of the story’s arcs and how they impact Saki Watanabe, the lead character. (Also, I really, really like the header image I designed for this one.) It’s riveting, it’s meaningful, it’s powerful, and of all the shows I’ve EVER scene, few deserve the title of masterpiece quite like From the New World does. To feign ignorance is the greatest crime of all. Corruption breeds from within when we close off our minds and our hearts to new peoples and ideas. People are twisted, easily corrupted, and worst of all, easily scared. But while we are weak when we are desperate, we are strong when it counts. I try to dedicate a solid paragraph in each of my anime reviews to the series’ soundtrack composer. What can I say, I’m a music man, and Yuuki Hayashi just so happens to be my favorite anime soundtrack composer! He’s done the background music for so many of my favorite shows, and it was about time that I dedicated an entire post—a very special OWLS post at that—to Hayashi’s genius. At long, long last, I got to practically fanboy about all my favorite anime soundtracks, but there’s another reason I picked a composer rather than a single song or series to focus on. You see, Hayashi’s music isn’t just epic—it’s also inspirational, a set of notes and sounds designed to motivate the very soul. And although this one low-key has my favorite header graphic, it’s missing one final relatability factor to push it into number one. Music encapsulates and can provide inspiration to lift us off our feet, motivation to push us forward, heartache to make us grow, the strength to go beyond, and the ambition to fulfill our dreams. Know that the view from the summit is one that exists ONLY for you—so chase after it relentlessly. Try new things, make mistakes, meet new people, but never, never give up on your reasons for wanting to improve. Because maybe, in the process of overcoming your own impossible odds, you’ll inspire someone else to be a better human. Here’s your number one for 2018! Did it surprise you? Princess Jellyfish burst onto the scene of my life and totally changed my views on confidence, community, and the inner beauty we each possess below the surface. It features a dynamic, hilarious, and heartwarming cast of otaku NEETS who are all just struggling to get by in society, as well as the one queen who will unite them all in their effort to freely express themselves. Princess Jellyfish is the epitome of pride, a story that is attest to how vast our personalities truly are, and although I was a bit long-winded with other technical aspects of the series, this post really is just one big expression of love. Princess Jellyfish is a series about loving what you want to love, and bonding with those who share that same incredible sentiment. At its very end, the story of Princess Jellyfish embodies something so pure, hopeful, and passionate that it becomes impossible to not enjoy—and it’s for all these wonderful reasons and more that I select June’s “Pride” post as my favorite OWLS post of 2018. Sometimes you need to see yourself in a different way in order to appreciate who you’ve been this whole time. Beauty is not something you simply put on: it’s an emotion you feel when you’re at your best. Above all else, so long as you take pride in yourself and the things you love, all people—including us adults—still have plenty of room for growth and change. A HUGE Round of Applause to the OWLS Crew! WHEW! After binge-reading ALL of the 2018 OWLS posts from January 1st to December 31st, I can officially say that each and every one of us deserve a pat on the back. Seriously though, all of lovely individuals in OWLS are not only fantastic people, but awesome writers as well, and while I didn’t share every single post over on Twitter (for fear of clogging up everyone’s feed), each one of them most certainly deserves the read. Speaking of accomplishments . . . to my knowledge, I am one of the few who has posted for every single tour. That’s 24 posts since our debut in 2017! While I plan to write more posts aside from OWLS ones (as that is what became of me this year, whoops), I am happy with myself for not giving up and sticking with the group through each thought-provoking monthly topic. It’s just a small sidenote, but I’m proud for having come this far, and I look forward to hopefully adding 12 more posts come December 2019! Chances are that if you were linked here from another blogger pal, you might be new to this place. 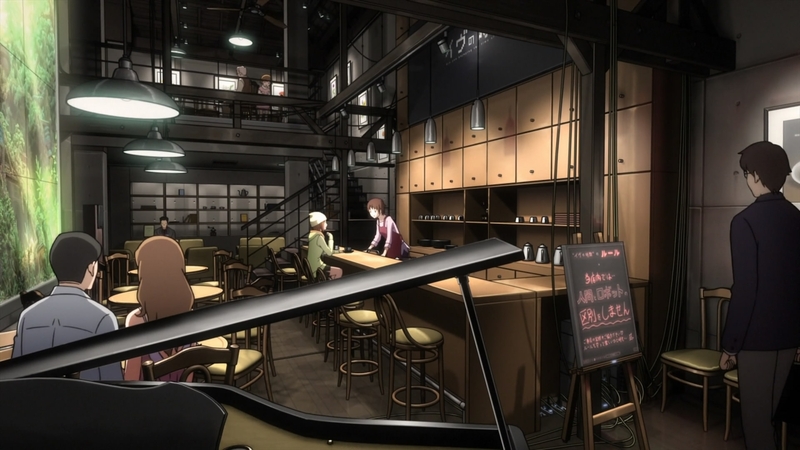 To those first-timers, “Hi, I’m Takuto, and welcome to my anime cafe!” As part of the OWLS blog tour’s eighth monthly topic for 2018, “Journey,” I definitely wanted to hone my focus on one of anime’s true bests. Originally intended to be a post on Fullmetal Alchemist: Brotherhood (since I had just finished rewatching it and it’s not everyday you can say “I managed to fit in a rewatch of a 64-episode show!”), another fellow OWLS member snatched it up for the taking. I know she’ll do a nice job over it though, and that makes me very excited! We have all heard this saying in some shape or form: “Life is a journey.” We travel down a path hoping that we reach a goal or destination, but the travel in getting there isn’t always easy. Along the way, we encounter some personal struggles. It is in those moments where we must overcome an adversity to complete our journey or take a different route or path instead. In this month’s OWLS post, we will be discussing the personal journeys of pop culture creators, icons, and characters. We will explore the journeys that these characters went through, discuss the process and experiences they had on their journeys, acknowledge what they discover about themselves, or share our own personal journeys. Seeing as how I’ve already covered the series before, this won’t be my typical review and life reflection 2-in-1 post. Instead, I’ll dive straight into the heart of the matter and dedicate this entire analytical post toward the story’s main character, a girl whom we follow from the youth of adolescence to the ripe ages of adulthood—and all the messiness in between. Thanks Mel for the adventurous prompt this month, and Lyn for turning such a simple word into a universe of thought worth exploring! A brief discussion on the 25-episode fall 2012 anime “From the New World,” animated by A-1 Pictures, directed by Masashi Ishihama, and based on Yusuke Kishi’s novel of the same name. Specifically, this will be a light character essay on the main female lead, Saki Watanabe. What she learns over the course of her journey—and more importantly, what she does with this new, scary knowledge—stands as attest to both humanity’s innate barbarity and its determination to pursue justice through truth—even if the truth can be the cruelest thing of all. Spoilers will be marked, although you should just do yourself a favor and watch this series! We open this story of a young girl and her five precious friends growing up in the 31st century with the induction of Saki Watanabe into society. Her psychic powers are sealed away only to be released back to her a moment later, perhaps to prove that the Ethics and Education Committees had absolute control of the average citizen’s entire life from the start. Made up by select adult village members of Kamisu 66 and the surrounding areas, these councils govern not only the flow of power, but of knowledge, too. A small population living in an idyllic area holding power above all, culling the weakest in education, and secretly disposing any child that failed to fit the mold—that was the true reality. While times were peaceful then, fear still snuck its way into Saki’s heart when one of her friends suddenly disappeared one day. “She was always a bit frail. Maybe the trickster cat got her?” Thus began Saki’s series of revelations, heartache, and confusion in the dark. Rather than a sci-fi action show about revolution or a drama full of romance, From the New World is more a commentary on the fallacies of conservatism and how a society can actually be harmed by perpetuation and stagnation. This first arc happily entertains us with games of clay rollers and paper dolls, but also frightens us with things we do not know, cannot explain, and cannot comprehend, much like what we experience during childhood. “If only I had known ‘this,’ or if only I had prevented ‘that’ none of this would’ve happened.” A story told in flashback as a first person narrative, Saki reflects on how painful her youth really was now that she knows the truths surrounding her innocent circumstance. The foreshadowing builds when Saki and the rest of Group One (comprised of her closest friends, the other main characters) venture off the main path into forbidden territory during a school camping trip. Together, they enjoy their friendship and freedom, rowing past the safe areas in search of monsters, but what they find is much worse than what they imagined: a False Minoshiro, a walking digital library of information disguised as a creature of nature. At the children’s’ threatening request, the False Minoshiro leaks startling info regarding the world around them, such as how their society came to be and the violence and bloodshed humanity had encountered in the past millennium. Scarred and left in utter disbelief, the oriented narrative of history proves itself a guiding theme through this shocking discovery. Then, the hero descends into the underworld; a clan of monster rats, a lower race of rat people that look up to humans as gods for their incredible powers, captures Saki and Satoru. And as fate would have it, it was there in that forest where they met Squealer, a pathetic little monster rat who spoke their language and helped them escape. Setting the groundwork for everything to come, adult Saki closes out the adolescence arc reminiscing on their ill-fated meeting not with anger and hatred, but a bitter regret for her own ignorance. Beginning with scenes of teenagers of the same gender holding hands and openly making out on the grass, this next arc ushers in new emotions besides fear: deceit, desire, malice, envy, lust, and love. Just as the False Minoshiro predicted, humans, like their genetic chimpanzee counterparts the bonobos, seek passionate love as a coping mechanism for immense stress relief, hence the sudden changes in behavior. This sexual awakening causes Saki’s inner love and admiration for her friend Maria to develop into a serious relationship; the same goes for Satoru and Shun, and poor Mamoru is left out with unrequited feelings for Maria, ultimately leading to the group’s self-destruction. Hiding his inability to accurately control his psychic powers, Shun transforms into a karmic demon, or runaway esper, and meets his fate like how the adults taught them to in school: solitary confinement and suicide. His sacrifice saves civilization, but Saki and Satoru are left broken with voids echoing in their hearts. Sometimes we get left behind—but what’s worse is when we have to leave behind others. Despite practicing using his psychic powers every day in hopes of both not falling behind the others and getting Maria’s attention, Mamoru’s efforts are not enough. He flees the village, knowing full well that two visits by the trickster cat means certain death. Terrifying thoughts of his well-being race through Group One’s minds, and although they find him salvaged from the snow by a wild monster rat, they know that the matter of simply returning him to the village is out of the question. Bidding farewell, Maria promises to watch over Mamoru in the unknown icy landscape, and the pain of being away from Maria devastates Saki. 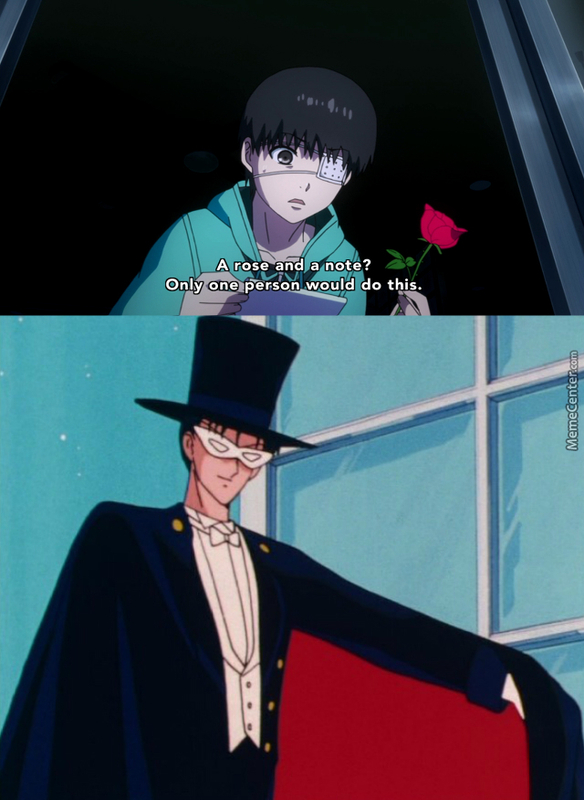 Did Mamoru let society down, or did society let him down? Saki’s ironclad resolve to change her world begins to take shape—something must be done. To top it all off, prior to Mamoru’s departure Saki is met by the mentor, the head of the Ethics Committee (and Satoru’s grandmother) Tomiko Asahina, who shielded Saki and her friends from disposal by the Education Committee for knowing about their true history. Eyeing Saki for her strong mental stability as well as qualities of a leader, Tomiko seeks Saki as her successor. But Tomiko’s knowledge of humanity’s history timed with the revelation as to her sudden memory loss leaves Saki beyond disturbed. Torn between doing what was best for her people, herself, and her long-lost friends, Saki’s youthful days came to an end with the return of an old acquaintance . . .
Squealer, now the self-proclaimed Yakomaru, has elevated in status from lowly Robber Fly Colony slave to its commander. With their clan’s queen shackled and practically imprisoned, Yakomaru was able to set up a two-house diet similar to humanity’s government. He deceived other clans and conquered them, subverting his intentions when questioned by the board of monster rat management, of which Saki now belongs. His armies were massive, his weapons were civilized, and his speech was greatly improved. In other words, he was ready for his next target. By this point, we, along with Saki, had borne witness to humanity’s miracles and carnage alike. At last, we’d understood that rebellious and reformative elements are the biggest interior threats, and that exploitation of those perceived as inferior beings is a grave and serious crime. We’d been tricked time and time again by Squealer, but were we doomed to repeat what our elders did before us? What had we learned? What made this time different? Joy and sorrow. Loss and loneliness. Palpitation and stagnation. History and evolution. Past and future. Death and rebirth. Fear and freedom. But above all, we’ve understood that to feign ignorance is the greatest crime of all. We can’t keep blaming people for their shortcomings, but instead should help guide them in becoming better. Corruption breeds from within when we close off our minds and our hearts to new peoples and ideas, and while we are weak when we are desperate, we are strong when it counts. People are twisted, easily corrupted, and worst of all, easily scared. To tear the world apart is easy; to put it all back together, not so much—that is what I’ve learned from Saki’s journey. Together, we’ve embarked on one of the greatest journeys ever conceived, and I believe it is such because, at its core, From the New World is the story of humanity. Of us, and the terrible, absolutely horrifying things we have done and will continue to do should we look away from the truth. Often, it is closer than we think. Maria once told Saki that “Sometimes, the truth is the cruelest thing of all,” and that “Not everyone could bear it” as easily as she did. Oh, how right she was. And now here we are, at the end of the madness and frustration with little chance of success, yet still a sliver of hope. To kill, or to be killed—that and so much more is the subject of the final episode, and I’ll save the rest of it for you to discover on your own. Culminating into a genius story of fearing the unknown and the darkness within us all, From the New World comes right out and says “The one we should be most afraid of is ourselves.” I hope both its sheer violent nature and resounding messages of hope will stick with you, too, for a long time to come. Because this one’s not just an anime—it is a lesson on the human spirit: a cautionary tale for all those in life we change, and all those who change us. “We have to change our way of thinking if we really want to change the future.” And to those ends, we must safeguard our hearts with an imagination great enough to change everything. I had to leave out SO MUCH STUFF in order to make it suitable for all readers, and even then, I couldn’t explain some of Saki’s developments without mentioning a couple major spoilers! Sheesh! I’ll never win. Anyway, that’s From the New World in a nutshell . . . NOT. There’s so much more to this incredible masterpiece, and I do hope you get around to this 25-episode thrill ride some day. I’d love to read any of your thoughts about this post in the comments, and if you have seen From the New World, you ought to let me know what you thought of the series! This post is absolute PROOF that I could go on forever about how great it truly is, and how phenomenal Saki is as a protagonist! Seriously, it was such a pleasure getting to revisit this hauntingly beautiful title. I Didn’t Feel Like Writing, That’s All! The title says it all, but woah, long time no see, right? Hi all, it’s Takuto, the host here at my anime cafe (whenever I actually decide to show up)! Before I go into the details of my absence, I do hope you’ve been doing well, and an extended “How do you do?” to the few of you who even followed me recently during this past month. It’s crazy to think that people would even read, let alone follow a slacking blogger, and for that I thank you, and welcome you, too! The reason I haven’t been here is simple: I just haven’t felt like writing, that’s all! Nothing new to any of us, since we all go through that phase. But I figured over a month was pushing it, and that since I’m sorta back in the game I’d stop by here. But EVEN though I’m here, I still don’t feel much umph for writing. I’ve watched A LOT of anime during this past month, so my passion for anime definitely hasn’t gone anywhere (which is VERY GOOD considering that blogging hiatus can sometimes indicate lack of love for the topic)!! I’ve even done some gaming which I’D NEVER do unless I was really trying to run from something. It was just that, once I finished watching a show or film, I didn’t want to talk about it. Guess you could call me lazy, haha, or perhaps not feeling like wanting to shove my most recently watched title under a friggin’ black light with the reviews and all. What is my format, and am I jealous of Prattle’s work? To answer both, I’m still not sure, and heck yes, of course I am. But that’s when I realized, like you do, that I should “focus on doing me rather than constantly comparing myself to others (props to Shay for that encouragement).” I also did a little looking into Prattle’s site and found out that “they” are actually a team of four, not just one person—do fact-check me on this one if you know more or if I’m wrong—which only goes to reinforce the idea that I shouldn’t be comparing myself to four minds in one entity. Still admire Prattle’s work, so if you do read this, keep it up! On this little self-reflection journey, Prattle and Shay told us readers and viewers alike that, as content creators, we should generally stress less. I can stress less, sure. I think what put me off most during this month was thinking that I needed to write with correct formatting, good grammar, interesting word choice, original thoughts, etc. And while those are certainly things to strive for, if they keep putting you down, you might as well not be writing at all, right!? If I keep criticizing myself so harshly, which prevents me from posting at all, then I’ll never post, simple as that. So here’s what I’m going to do—and this is NOT necessarily recommendable, but sometimes there are things that are more important than the rules. I’m going to essentially “care less” when I write. Until I get off my feet and bring the traffic back to this cafe, I’ll write without regards to the laws of formal writing. I’ll write knowing that some works won’t be as polished as my others. I’ll say the things I want to say in fewer words, straight from the heart to you. All this and more, I’ll write because THERE ARE NO rules to blogging. I’ll just get it out there and talk about it with you, and we’ll be dandy again. Then maybe, just maybe, when the healing is done and the bells have rang, I’ll get back to the “correct format” and “catchy wordplay.” To “quality writing” and “original thoughts.” If you can stick it out with me until then, it would be greatly appreciated. So YES, more posts are coming. They might not be the prettiest, but at least I’ll still exist. Whether it’s wanting to discuss a show, dissect some themes, or even share the things I’ve bought, I’ll just do it. To get myself out there, I’ll imagine it, I’ll speak it, and I’ll change, and we’ll see if it works. Wishing you all the best, and I’m excited to write for both you and me again soon! Till next time~! I know, shame on me for being a day late. But I’m not skipping any days in this challenge, so I’ll just post two today. Now to pick today’s songs . . . I know for a fact that No.6 is not a very “good” show from a reviewer’s standpoint. But because I think of myself as more of an anime fan than a critical reviewer, I’ll give this little show all the lovin’ I want! One of two male leads, Nezumi, sings this tune throughout the entirety of the series. Notably, however, it can be heard in the last episode when his boy Shion is shot. Mourning over the loss of his love, Nezumi croaks this song as the city around him is being torn to pieces. The scene ripped my heart out; everything from his choking gasps to the dry tears in his soulless eyes just hits me right in the gut. His normally rich, low voice becomes flaky and parched as he strains himself to protect what was once an upbeat, energetic youth, now a lifeless body. This song is both melancholy and uplifting at the same time, which to me is a rare quality to find in songs. And here is the second version, which is the continuation and remix of Safu singing after Nezumi stops. Her voice is utterly enchanting, but I think the reason I like it almost more than Nezumi’s is the opera chorus that rings in the background. It helps recreate that heavenly feeling when Nezumi came in contact with Elyurias. I don’t even know what happened to me, but when that last episode cued and this song played in the last few minutes, I completely lost it. I don’t think I cried, but man, I was a complete emotional mess after that! Very seldom does classical music mash so well with anime, and From the New World incorporated the piece brilliantly. Okay, let me just clarify that all of the Madoka songs brought many feels. But I think “Decretum” brought the tears home when I first watched this catastrophe. Though she’s not my favorite, Sayaka Miki was definitely the most depressing to watch. That fake yet triumphant smile, the way she flittered around with Madoka, her near selflessness to save another’s soul – isn’t that what being a magical girl is all about? She lived a tragic life, and the Law of Cycles claimed her being in the end. The greatest moment of Code Grass: The moment when you finally understand how Lelouch will put an end to the Britannian Empire . . . So before I start thinking too much about all of these depressing moments, I’m going to go write the next challenge post. AGH, I gotta stop picking so many songs per day >.< See you in a little bit! From the New World – yeah, I realize this was done a long while ago, but I have to bring it up again because I’m still thinking about it! Such a wonderful piece of entertainment, nearly a masterpiece, if you missed the review the first time, click here! Seraph of the End – I have mixed thoughts on this one. Really darn entertaining, but when analyzed closely it’s so terribly flawed! If you wanna, I have a review here you can read! Is It Wrong to Try to Pick Up Girls in a Dungeon? – it was much more fun during the start, but at the end I was kinda sick of watching it. It wasn’t horrendous, but nothing like I thought it’d be, review on the way! I also finished volumes 13 and 14 of the manga for Neon Genesis Evangelion. I didn’t read the whole series, as I just wanted the bits covered in The End of Evangelion. Things made so much more sense in those books than in the film! Like holy moly! I also finished Pandora Hearts volume 4. I’ve been wanting to make this my first manga series to read from start to finish and own, but I realized that this is going to be an expensive project that I just don’t have the money for. I’ll find it online somewhere and see if things get good. It’s pretty confusing, but the art is some of the best and characters are cool! Mina-san, konnichiwa! Takuto here with a spontaneous update because, you know, why wait? So if you’ve been around the cafe recently, you’d notice that I’ve been doing a bit of exploring. Starting with the school idols, Love Live! School Idol Project, and I had a grand time with them. Though a great start for my summer, it wasn’t what I was looking for. I wanted something a little more, hmm, profound. If this doesn’t prove my point, IDK what will. Then I hit up the Monogatari series with Bakemonogatari. Again not quite what I was searching for, but it was definitely a lot closer. 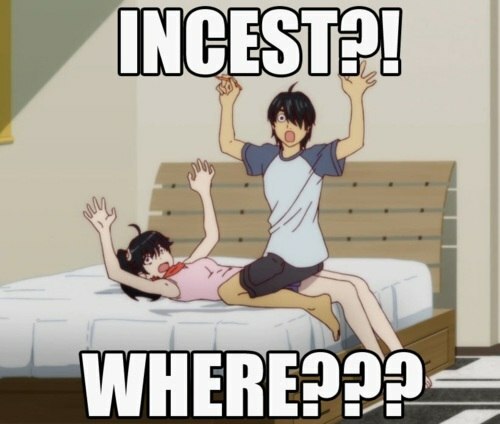 It was still a great watch, still contemplating moving on to Nisemonogatari or not . . . Finally, I got the full-on human analysis with From the New World, and boy was that a ride. I freakin’ loved that show (if you read my entire dang long review, pat on the back for you)! 😀 A bit slow at first, but it only spiraled from the middle and on. After watching, my slate was pretty much scraped clean. Blank. Oh god! This one was just too good, haha! So with all of this time, what anime do I tackle next, if any? 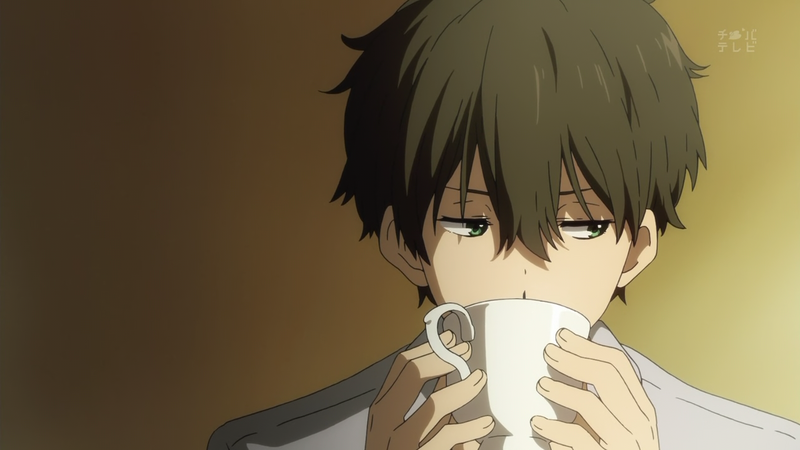 I mean, I still got seven simulcasts to keep up with. That’s enough, right? I play the cello. If you didn’t know, well, now you do! My private lesson teacher has like three other students, and each season there’s a humble ‘lil house recital where we “strut our stuff.” It’s become an amazing tradition. 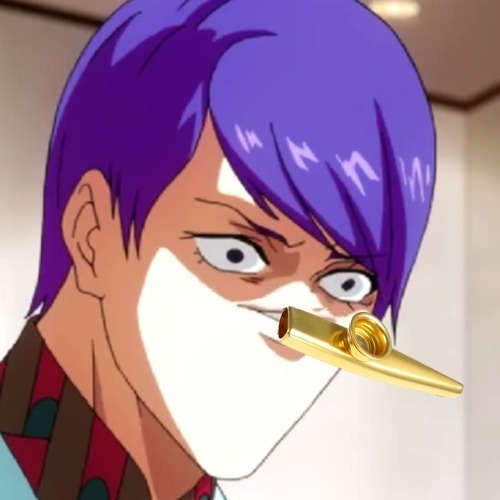 But there is another student besides me that watches anime, and when we proposed a summer song that we would play at the recital (like we always do, summer is for recommendation group pieces), she brought up “Unravel,” the opening of the recently famous horror thriller Tokyo Ghoul. Surprisingly enough, I didn’t plan on watching the series. Sure, it looks good, but meh, there are other shows that I’d like to pick up on. Me too, Kaneki. Me too. So I passed when the show started airing. Skip forward and we’re back to music. My teacher wants to commission me to transcribe a cello quartet version of the crazy rock song. WHAT!? She said she gave it a listen and thought it was possible, then tossed the burden upon my already crushed anime-binge-watching tired shoulders. In the picture above, the music that my sweet coffee is under, yep, that’s the beast. I marathoned the whole damn thing from the 18th to the 19th. 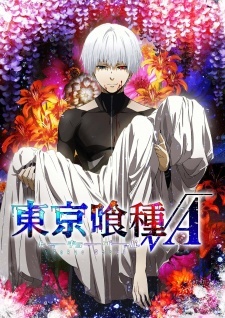 That’s right, Tokyo Ghoul √A! Now I’ve heard it’s complete and utter CRAP, but let’s have Takuto decide that for himself, right? As far as transcribing “Unravel” goes, it’s definitely going to be a challenge, but at least I know the song’s background much more than before. I’m kinda excited to get started, actually!